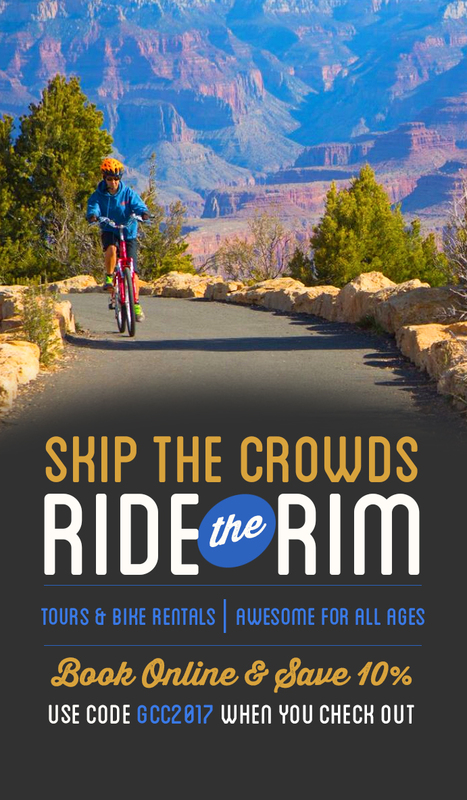 First time visitors to the Grand Canyon might be a little overwhelmed with all there is to do. 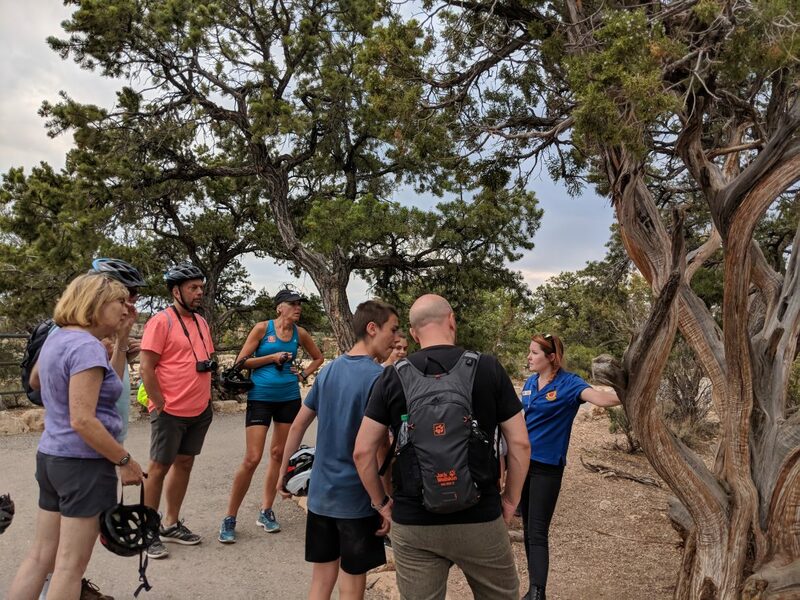 If you’re having trouble deciding where to begin, looking for an immersive experience, and wanting to know the figurative depth to what you see, the Hermit’s Rest Bike tour offered by Bright Angel Bicycles is for you! 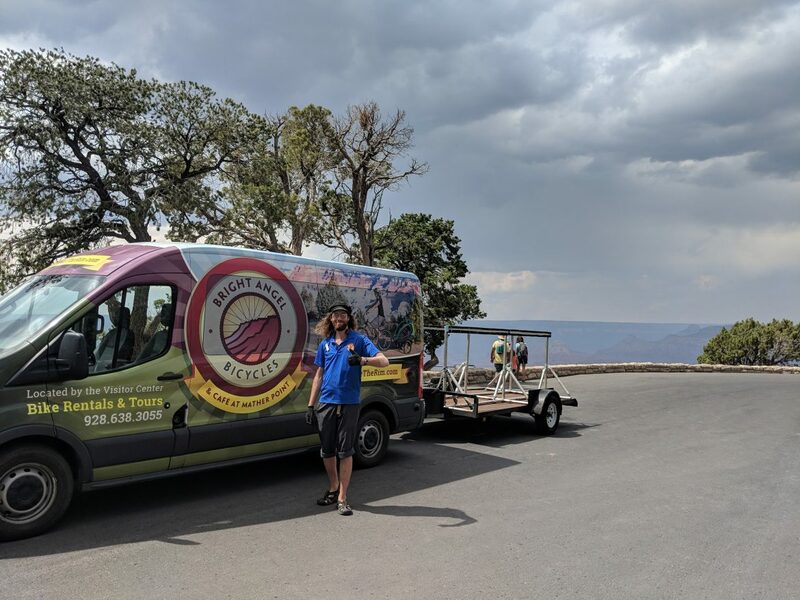 Bright Angel Bicycles is closing in on a decade of operating in the National Park, and is renowned for its quality of tours and guides. 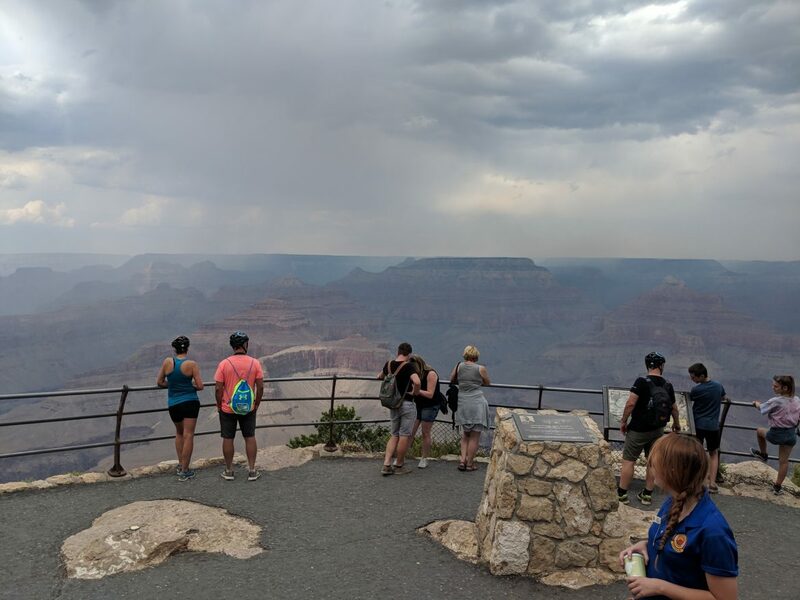 Presently ranked the 5th best tour to take in the Grand Canyon, they are the youngest company on the list, the most competitively priced tour, and higher ranked then the helicopter rides! 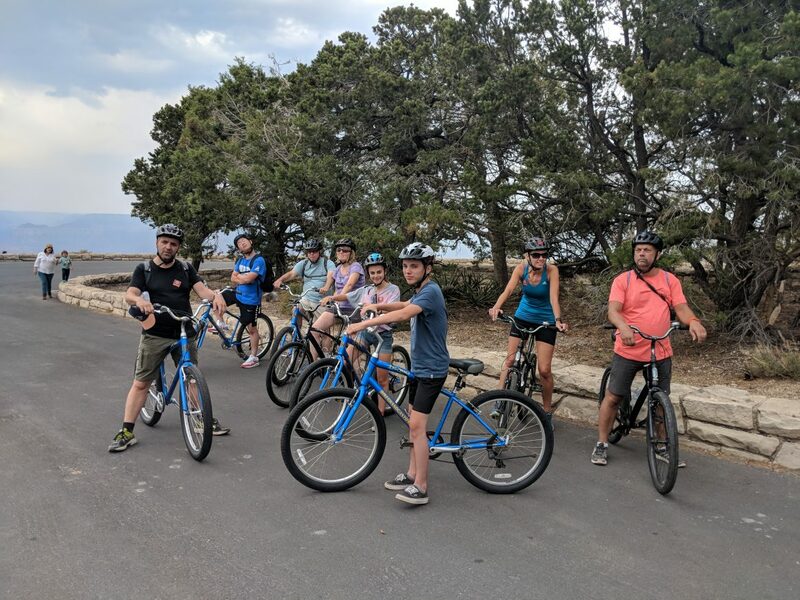 The tours are seasonal, so you will have to contact Bright Angel Bicycles to inquire about early spring, and late fall tours; but the high summer season offers Hermit’s Rest Tours every day at 10 am, 2 & 3 pm. 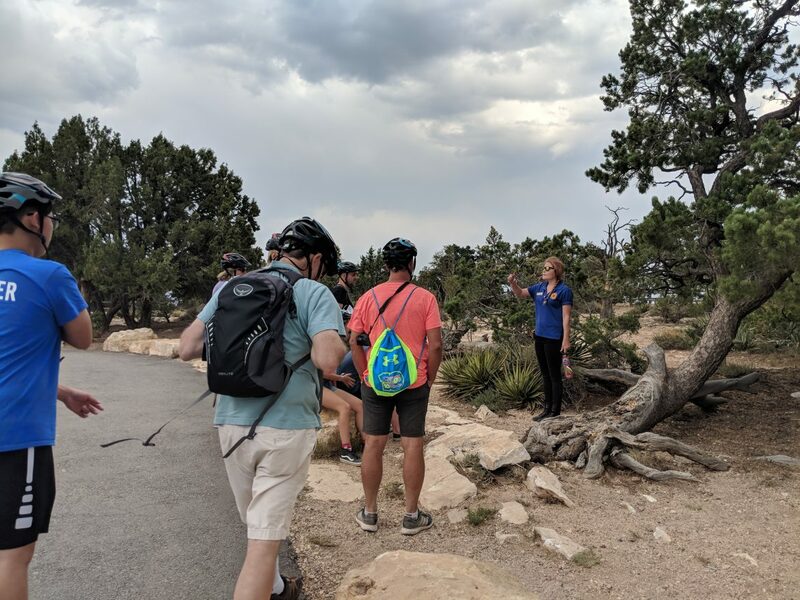 The tour requires a check-in 30 minutes prior to the hour, and a shuttle transports you across the village, and to the top of the hill on Hermit’s Rest Road, Hopi Point. From there you spend the next two and a half hours riding gently downhill on a wide, paved, controlled roadway, that is shared with park shuttle buses; but otherwise is quite and private. 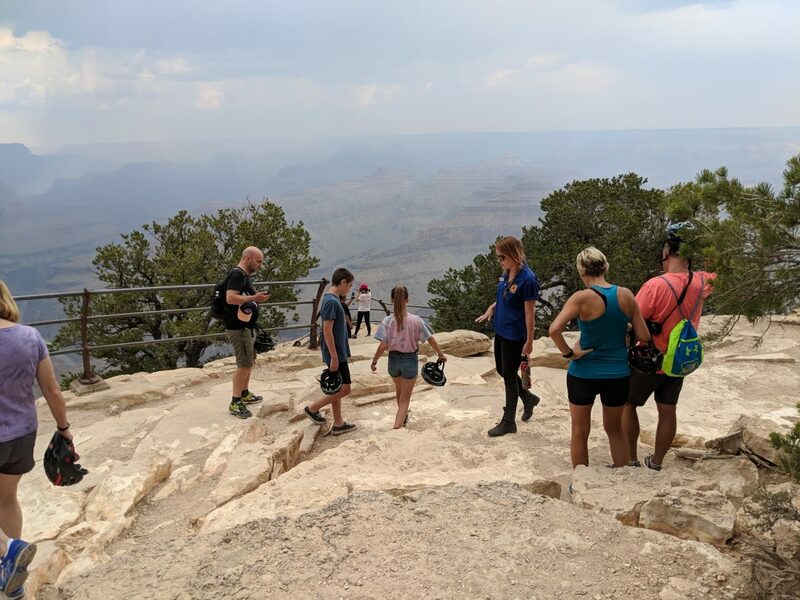 The pace is gentle, and great for families of many generations; making lots of stops, strolling around the rim, and talking plenty about the Canyon, it’s history, and all it’s inhabitants. Finally, at the end, you will be picked up by their shuttle at the Hermit’s Rest historic rest house.